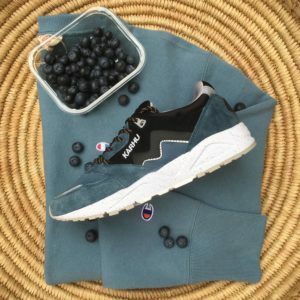 Colour coordinating outfits might bring back memories of how your old history teacher used to dress, but it turns out they were clearly wiser and more experienced in many ways. 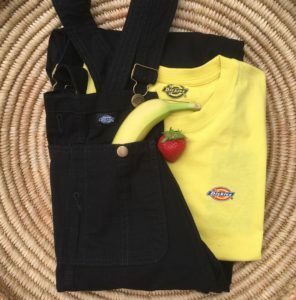 With the hot summer weather in full flow, we’ve added a pop of colour to our outfits in the form of colour coordinated fruit! We’ve got the perfect festival fit (and that fit to follow the week long hangover). 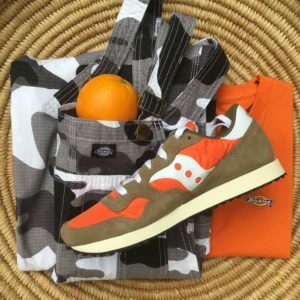 Try some vibrant orange and camo prints together for a bold look, or try switching it up with the yellow Dickies t-shirt to keep it fresh and summery. For that funky festival vibe replace the t-shirt for a cute fitted crop top and a pair of hoops! And remember that tie dye tshirt you made in your kitchen sink when you were 13? 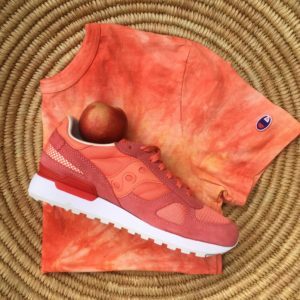 Well it looks like it could be back in business this season – style it with out Saucony shadow original in Coral (see below).